JB-15 (13) for Dream Guitar, this is the first of a series of 6 built by Bruce Sexauer. This is the first of a series of 6 pieces, 2 delivered so far. 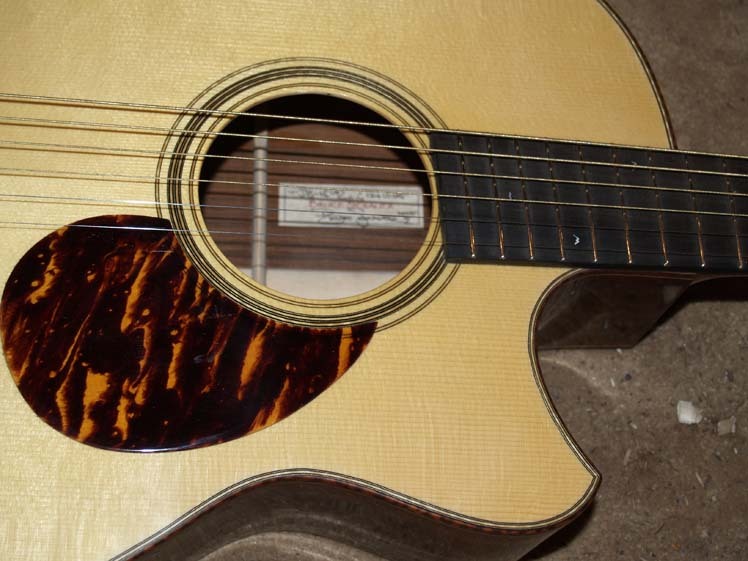 Brazilian Rosewood/Italian Spruce is unbeatable for tone, and here it is! 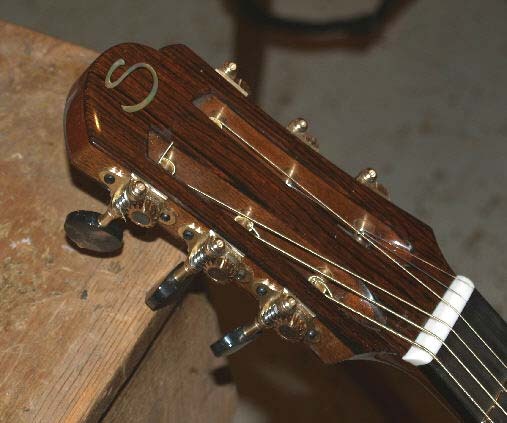 Alessi tuners and Snakewood binding. 13 frets to the body, and 25.4 x 24.9 inch string lengths both contribute to unimpeachable tonal balance.